Video games are a pastime enjoyed by millions of people worldwide. However, what you might not know is that playing video games can cause a variety of negative effects upon your eyes. It is important to note that certain video game genres (mainly action games) have also been proven to heighten your vision; therefore, complete avoidance of gaming because of potential eye conditions may be unfounded. When people play games they inadvertently blink as little as possible. This leads to excessively dry eyes, headaches, difficulty focusing and sensitivity to light. Only short term effects of CVS are known; however, research is ongoing and there is no consensus on long term effects. CVS can be avoided by taking a 10 second break for every 10 minutes of gameplay. Very rarely, individuals can spend so much time playing games without taking a break that permanent damage is done to the cornea. This should not be a problem for players who engage in healthy gameplay activities. According to the Nursing Online Education Database, healthy gameplay for your eyes consists of taking regular breaks, allotting a limited time for gameplay, minimizing glare on the screen, and if you already have them, wearing glasses. Individuals should consult their physicians before attempting to engage in any form of "marathon" gameplay. 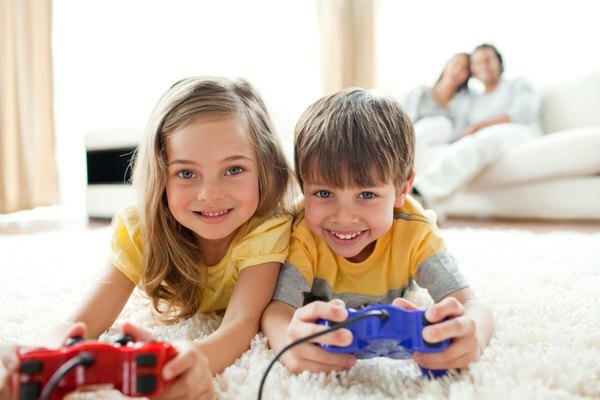 Children have more sensitive eyes and extra precautions should be taken to prevent excessive eye strain while gaming. 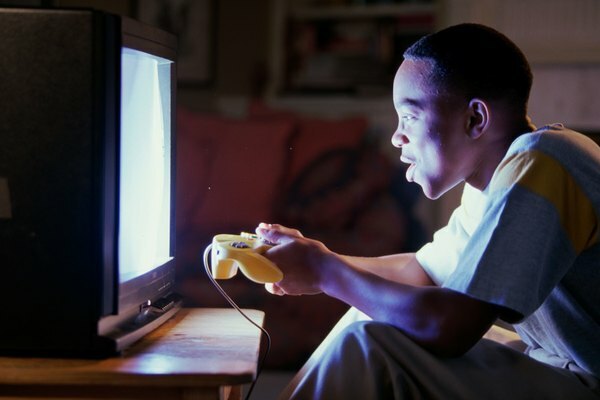 According to Keith Holland, a specialist who has studied the effects of video games and computers on the eye's of children, claims that children have worse eyesight than ever and excessive eyestrain related to video games may be one of the main causes of this eye damage.